A mountain range with a total length of 65,000 kilometers runs through all the oceans. It marks the boundaries of tectonic plates. Through the gap between the plates, material from the Earth's interior emerges, forming new seafloor, building up submarine mountains and spreading the plates apart. Very often, these mid-ocean ridges are described as a huge, elongated volcano. But this comparison is only partly correct, because the material forming the new seafloor is not always magmatic. At some spreading centres, material from the Earth's mantle reaches the surface without being melted. The percentage of seabed formed of this material has been previously unknown. Scientists from the Universities of Kiel (Germany), Austin (Texas, U.S.) and Durham (U.K.) have now published data in the international journal Nature Geoscience that, for the first time, allow a detailed estimation on how much seafloor is formed by mantle material without magmatic processes. "This phenomenon occurs especially where the seabed spreads at paces of less than two centimeters per year," explains Prof. Dr. Ingo Grevemeyer from the GEOMAR Helmholtz Centre for Ocean Research Kiel, lead author of the study. 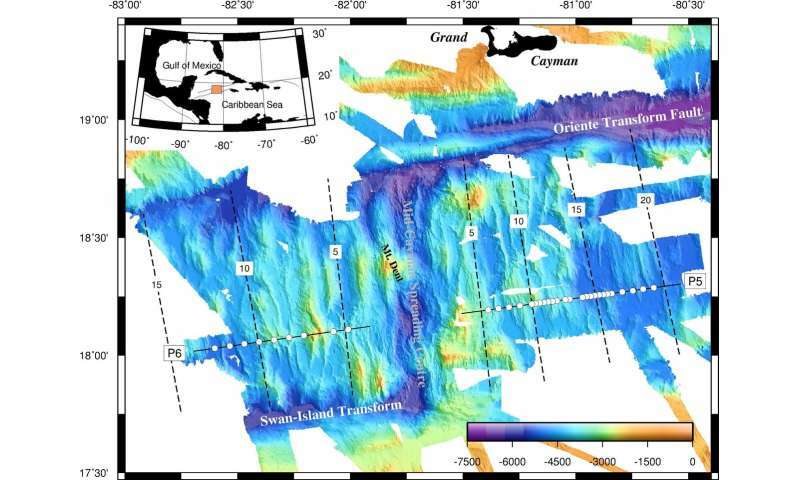 One of these zones is located in the Cayman Trough south of the island of Grand Cayman in the Caribbean. In 2015, the researchers used the German research vessel METEOR to investigate the seafloor seismically. Sound signals sent through rock and sediment layers are reflected and refracted in different ways by each layer. Rock that has been melted and solidified on the seabed has a different signature in the seismic signal than rock from the Earth's mantle that has not been melted. But scientists had a problem: Contact with the seawater changes the mantle rocks. "After this process, serpentinisation, mantle rocks are barely distinguishable from magmatic rocks in seismic data," says Professor Grevemeyer. Until now, mantle rock on the seabed could only be detected by taking samples directly from the seafloor and analyzing them in the laboratory. "But that way, you only get information about a tiny spot. Large-scale or even in-depth information on the composition of the seabed cannot be achieved," says Grevemeyer. 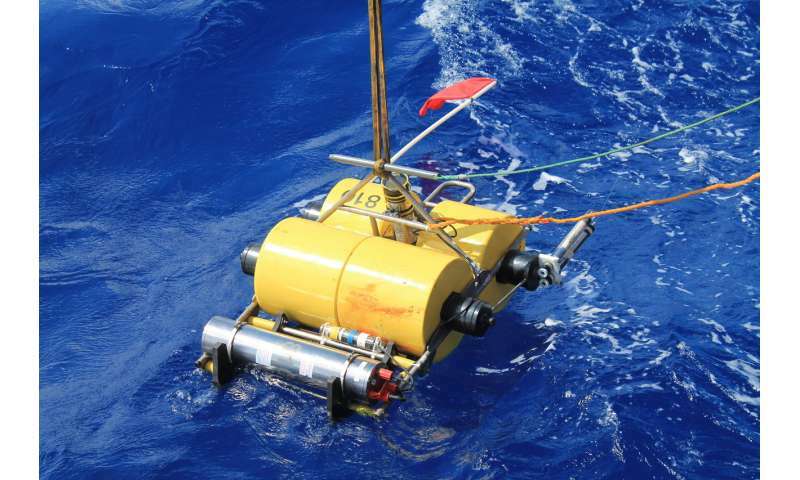 However, during the expedition in 2015, the team not only used the energy of ordinary sound waves—it also detected so-called shear waves, which occur only in solid materials. They could be recorded very clearly thanks to a clever selection of measuring points.